Aurore Dassesse was born in Brussels in 1991. She began playing the cello at the age of seven, studying with I.Laporev and Hélène Dautry. In 2009 she entered her class in the CRR of Paris and later studied with Justus Grimm at the Queen Elisabeth Music Chapel and at the Conservatorium of Antwerpen. Aurore has won several national competitions including the “Young Musicians” RTBF the Breughel and the Belfius. In November 2012 she was selected “Young Belgian Talent 2013-15”. Today Aurore is studying with Gustav Rivinius at the Musik Hochschule of Saarbrücken in Germany and is the cellist in the Ensembl’Arenski with her sister Claire Dassesse (violin) and Stephanie Proot (piano). Arenski have been studying at the Queen Elisabeth Music Chapel under the direction of the Artemis Quartet. On this recording, Aurore plays a cello made by “Gand et Bernardel Frères” in Paris in 1880. Her bow was also made in France by Joseph Alfred Lamy (1850-1919). Aveline Gram was born in Belgium in 1990. She was accepted into the Royal Conservatory of Brussels at the age of 16 under the exceptional status of ‘Young Talent’, entering the classes of Mr. Jean-Claude Vanden Eynden. She gave her first concert as a soloist with orchestra at the tender age of 13 and has since then performed in the main concert halls of France, Italy, Germany and Belgium. Apart from attending several master classes in and around Europe, Aveline was accepted in the “Scuola di Musica di Fiesole” (Italy) in 2011 where she followed a 3-years postgraduate course with Prof. Elisso Virssaladze. 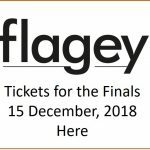 Today Aveline is a student at the “Hochschule für Musik, Theater und Medien” in Hannover (Germany) with Prof. Markus Becker; and Prof. Jan Philip Schulze for Lied interpretation. Aveline was selected as the first ‘Young Belgian Talent’ prodigy in 2010. On this recording Aveline is playing a Steinway B. Anyone who has ever had the privilege to experience a great performance right up close, knows just how exhilarating it can be. It is for this reason that the recording was kept as vibrant and as real as possible. To do this, we used a very simple two microphone placement technique to cover 90% of the work. With no compression, over dubbing, frequency equalization or other trickery, what you hear on this CD is the outcome of what Aurore and Aveline recorded over four days in July, 2015. Only a hint of reverberation has been added to ensure that we have captured the naturally occurring acoustics of the music room of the Chateau Balmoral in Spa, Belgium. Aurore Dassesse and Aveline Gram’s performances demonstrate two young people playing in the full throws of their creative development. Their unique blend of craftsmanship with passion and sensitivity allows the true depth of the composers’ work to be revealed in new and refreshing ways. 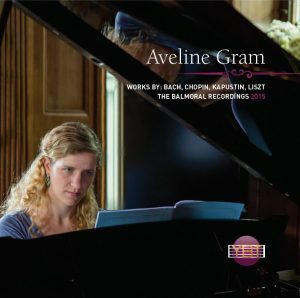 Aveline Gram (Belgian) has won numerous national and international competitions and prizes. Since the age of 13, Aveline has played regularly as a soloist with orchestra and has performed in the main halls of Belgium and other countries across europe (France, Italy, Germany, …). At the age of 16 Aveline was accepted into the Royal Conservatory in Brussels two years earlier than the normal admission age. Studying under the exceptional status of ‘Young Talent’, Aveline entered the classes of Mr. Jean-Claude Vanden eynden. Aveline has attended several master classes with professors such as e. Virssaladze, P. Devoyon, V. Krainev, M. Beroff, J-F. Heisser, O. Yablonskaya, A. Queffélec, B. Rigutto. In 2009-2010 she studied for one year in Italy with Prof. Oxana Yablonskaya, in combination with her studies in Brussels. Aveline achieved her Masters diploma in June 2012 ‘with great distinction’. In 2011, Aveline was accepted in the “Scuola di Musica di Fiesole” (Italy) where she followed a 3-years postgraduate course with Prof. elisso Virssaladze. In 2013-2014 she began a Master in Chamber Music at the “Koninklijk Conservatorium Brussel” which she continued during 2014-2015, at the “Hochschule für Musik, Theater und Medien” in Hannover (Germany) with Prof. Markus Becker (piano solo and chamber music); and Prof. Jan Philip Schulze (Lied interpretation). For the recording itself we used a very simple two microphone placement technique to cover 90% of the work. 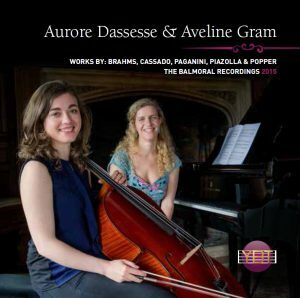 With no compression, over dubbing, frequency equalization or other trickery; what you hear on this CD (along with it’s sister CD YBT-001, ‘Aurore Dassesse & Aveline Gram’) is exactly what was played over four days in July in the music room of the Chateau Balmoral in Spa, Belgium. 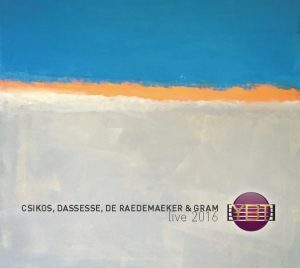 The beautifully packaged live CD, with its seven-page booklet, was recorded over two nights, including our Lier concert, and makes a unique present for family, friends and clients alike. 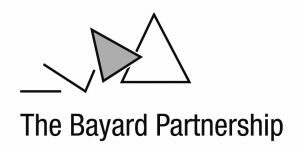 Every euro-cent invested in our CD goes directly to YBT, so it really is a worthwhile cause to support! 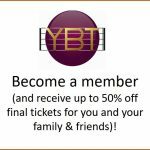 We at YBT believe in faithfully reproducing the performances of our young musicians. In recent decades, it has become the norm for ‘Live’ CD’s to undergo post-performance trickery, removing bad notes and performance errors, thereby giving a false impression of an unattainable ‘perfect performance’. What you hear on this CD is exactly, note for note, what was performed over the two nights. There have been no post-performance over-dubs or inserts.